You probably heard about Consumer Health Digest as it is one of the most popular websites when it comes to general health information. Thousands of visitors come to the website every day, but in case you are still wondering about the website’s reliability, we are there to answer seven questions you might have on the topic. Do they Publish Accurate Information? Yes, the authors of Consumer Health Digest always make sure to publish accurate information. The writers always ensure that any fact published is supported by evidence that the visitors can easily verify. The origin of information is also important, which is why the authors make sure not to use fake news and other unreliable sources. Instead, they focus on studies, journals, scientific-research, and information published by institutions. That is an excellent way to secure reliability and make sure that the information provided is accurate and true. They Are a Commercial Website, How Can I Trust Them? The reason why Consumer Health Digest has been the favorite health website for users around the world for years is that the visitors and the quality of information offered to them are their primary concern. They might be making some profit from the website, but they never let that disrupt trust they have built with the visitors. The content published on the website cannot be influenced in any way by manufacturers, advertisers, or anyone else apart from the writing and editing team. Even if the writers make a mistake, each piece of writing is checked by an experienced team of editors with years of experience in the industry. That is the best way to ensure that the final version of the published content has the highest quality and value to the reader, which implies that you can freely trust the website. Who Can Write for Consumer Health Digest? Consumer Health Digest only accepts high-quality content from experienced writers and authors that have extensive knowledge and experience in the health industry. The crucial thing to pinpoint here is that they are completely transparent about their contributors. You will clearly see the name and photo of the author along with some information about them. We believe that is an excellent way to convince you the article you are reading is written by a credible author. You should avoid trusting the websites that do not have any information about the authors because you can never be certain who wrote the articles. Transparency and the option to communicate with the writing team are important and that is what Consumer Health Digest secures for their visitors. Not only this is a way to keep the visitors interested to regularly visit the website, but it is also essential for health information to be regularly updated. There are often new findings and discoveries that may change what we knew before. 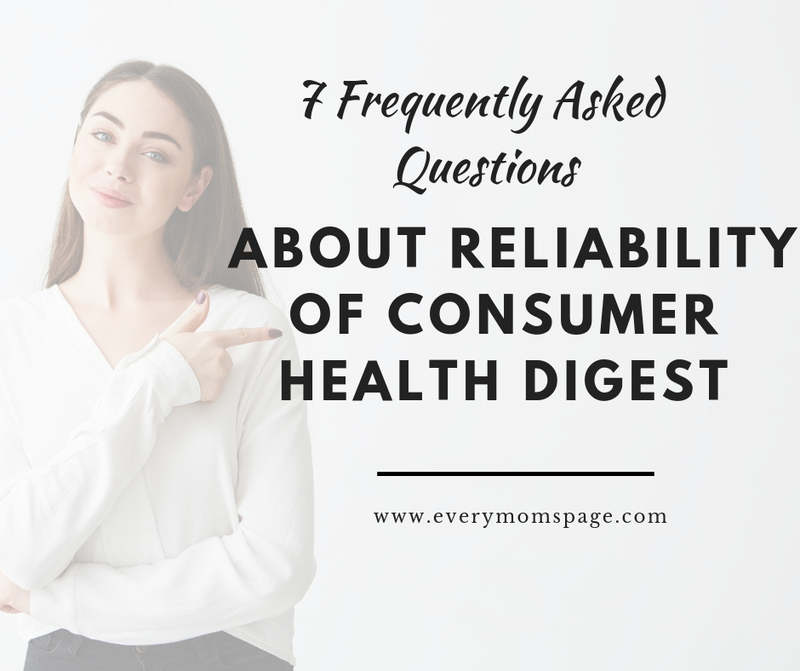 Aside from providing new content on a regular basis, Consumer Health Digest also makes sure to revise the information in already posted guides and articles if necessary. Do They Collect User Information? Many websites now only make a small portion of the article available and demand the users to register or subscribe so that they can read the entire article. This is how websites gather information about the visitors and you can never be 100% sure if they will abuse it and how. For Consumer Health Digest, the matter of user privacy and safety is extremely important. That is why the creators decided that they will never ask you to provide any personal information. All pages of the website are publicly accessible and can be read without any restriction. The platform will never ask you for the name, e-mail address, or financial information. You can browse the entire website completely free and while remaining anonymous. The website aims to offer content related to health and healthy lifestyle and provide valuable information on how to improve and maintain them. The goal of the authors is to motivate the visitors to make the first step towards a healthier way of life. 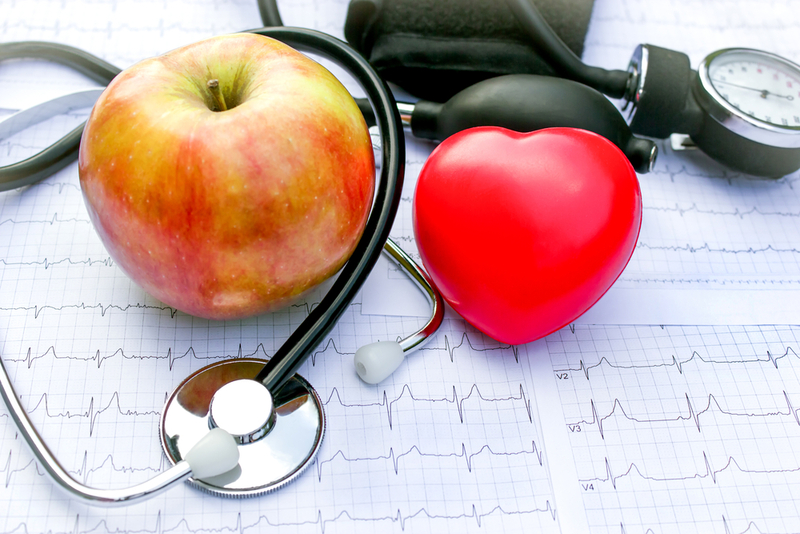 Consumer Health Digest is a place where you can read about various health A-Z conditions, tips, recommendations, and other things that are worth knowing for managing your health in an optimal way. The content you can read includes news, tips, guides, in-depth articles, and health supplement and product reviews. The platform is both motivational and education, but the authors emphasize they cannot replace advice you get from a doctor or medical care you would get at the office of a professional. The sole purpose of the website is to be an additional tool that can help to improve your quality of life. Are the Tips Offered Safe? In times where you need to be careful with what you are reading, Consumer Health Digest manages to recommend only safe and healthy options for boosting your lifestyle. The tips include weight loss, exercise, nutrition, and other health-related tricks and they are all supported by evidence and based on scientific studies and discoveries. At the end of the day, these questions should resolve the dilemma about Consumer Health Digest’s reliability if there ever was any. This website is one of the rare places where you can find reliable, accurate, and fact-based information about promoting your health and improving your quality of life.